You are now on the journey towards a long and Happy life together. We would like to take the opportunity to thank you for your interest in Spectrumsound.com. We hope that we can be helpful towards the planning of your wedding day. We have mastered the numerous details involved in the planning of a reception. Spectrumsound.com would like to assist you As your Evansville wedding reception event professionals. It is a fact that the quality of entertainment significantly determines the success of your reception. Spectrumsound.com has been turning ordinary events into extraordinary ones in the tri-state and beyond for more than 35 years. According to recently published surveys, Brides say their highest priority is their attire, followed by the reception site and caterers then the entertainment. Within one week after their reception, 78% of brides say they would have made the entertainment their highest priority. The same surveys show that when asked, 81% of guests say the thing they remember the most about a wedding is the entertainment. The whole success of your wedding ceremony or reception will rest on the shoulders of one man or woman, is that person up to the task? If your guests are not entertained, how long will they stay at the reception? Music will set the tone for your reception, food and drink may only assist. The DJ, who invites you to one of their weddings, means that you will also have his or her potential clients at your wedding reception too. Planning your wedding is the key, and we provide you with all the tools. We are always available to work with you. 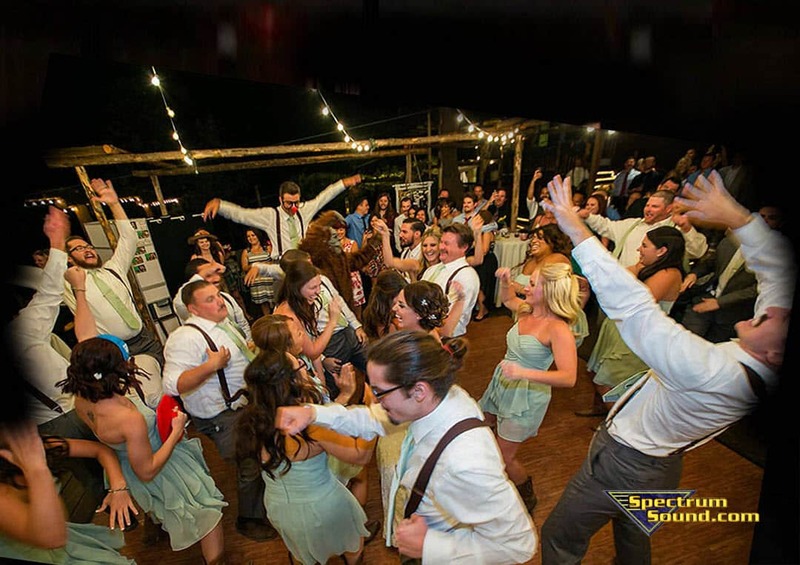 No matter the type of event, the age of participants, or level of participation you are interested in, Spectrumsound.com will provide you with everything you need to make that special event one to remember. Our event consultants will meet with you, in person or by phone, at your earliest convenience. You won’t have to worry about last minute questions or details because we Promise we are prepared when we get to the event. Your reception’s success begins with a free no obligation pre-hire meeting. Call today to schedule yours. Should you choose SpectrumSound.com not only will you get a great DJ/party host but, the success of your day further assured by the pre-planning information our clients receive.